How Efficient is your Swing? By using wireless sensors, K-Vest measures at 180 Frames per second and 3 Degrees of Freedom which allows the instructor to analyse a student’s bend, side bend, rotation and rotational velocity. 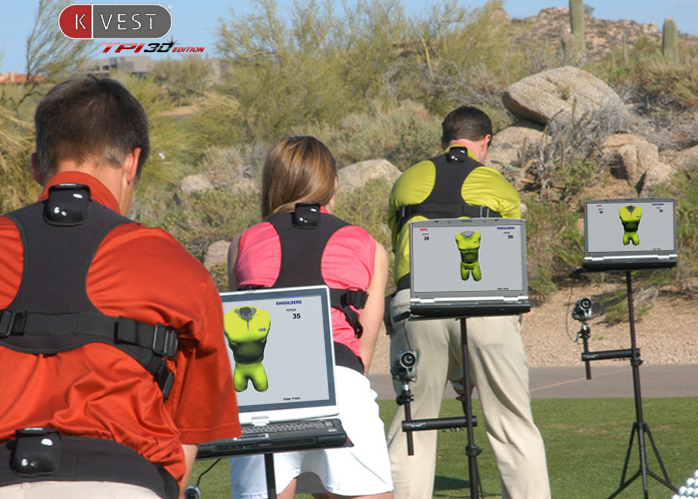 K-Vest can produce a person’s swing data in a couple of seconds. Now that’s fast! Not only that, the K-Vest can capture a golfer’s motion in real time and identify the errors immediately via live animation so that the golfer can make necessary changes to his/her motion. Real-time visual and auditory biofeedback can be used to improve every aspect of the golf swing, including set up, backswing, top and impact positions. Changing movement patterns has never been this enjoyable and easy to deliver! K-TRAINER allows professionals to select from a diverse set of customizable exercises and assessments that can be instantly loaded into a client's training program. 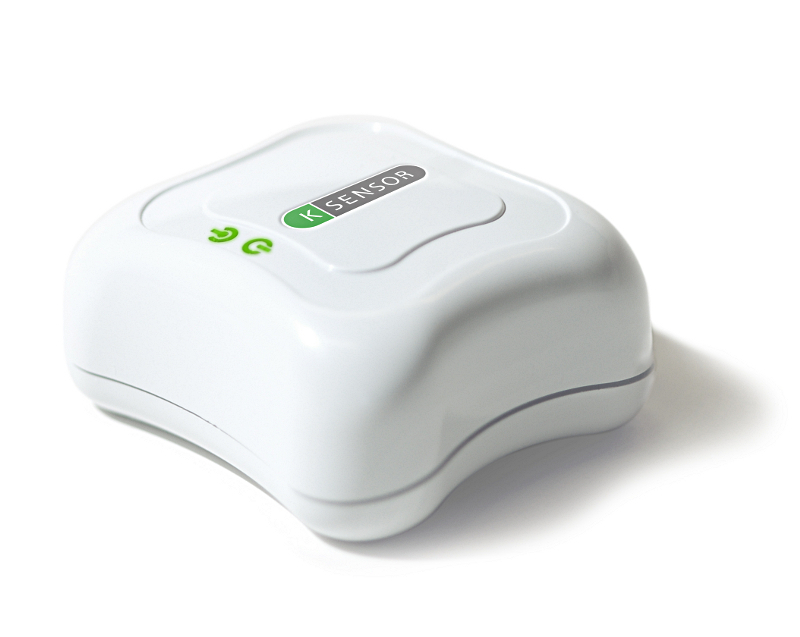 The K-TRAINER, a 2-sensor biofeedback system, which provides students with real-time auditory, visual, and kinesthetic feedback that will help eliminate swing faults, improve ball flight, and lower scores, all in significantly less time. 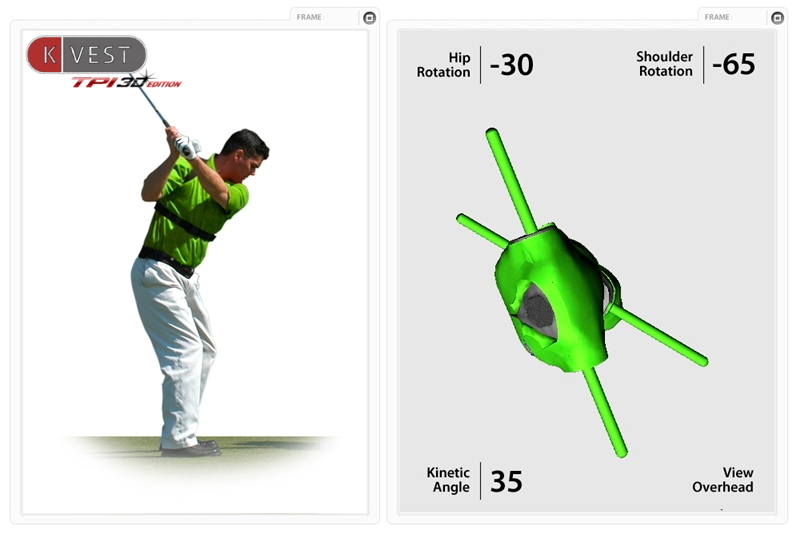 From full-swing and short-game drills to golf- specific exercises programs, the K-TRAINER software allows professionals to customize their drills and create automated programs that reinforce proper swing mechanics. K-TRAINER allows instructors to customize ranges based on each player's ability level. Smaller, more challenging ranges can be created for better players while larger, more achievable ranges can be selected for new golfers. 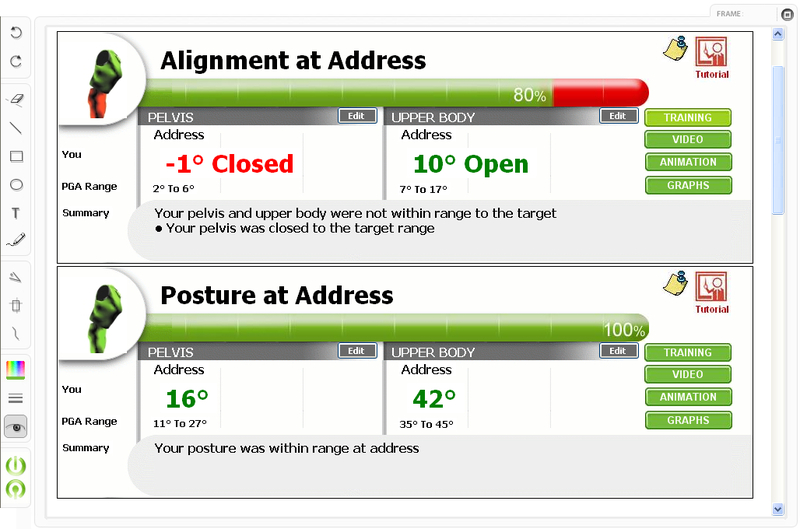 For more information or to book your Swing Assessment, call Tim Ward, PGA General Manager at (908) 806-6804. Click here to join our Frequent Fairways Program.